The bullcentaur body is indeed the regular orc boar. 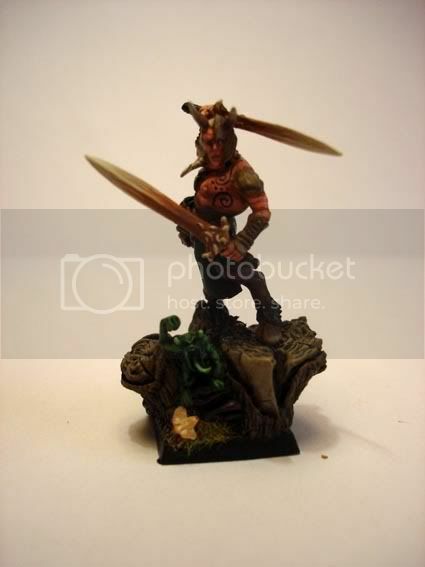 And the tiger is from de ogres, i like the model but it's a little bit cartoony. I finished sculpting some more dwarves but I dont have internet at home anymore, so i have too take the pictures too my work. So they're comming soon. 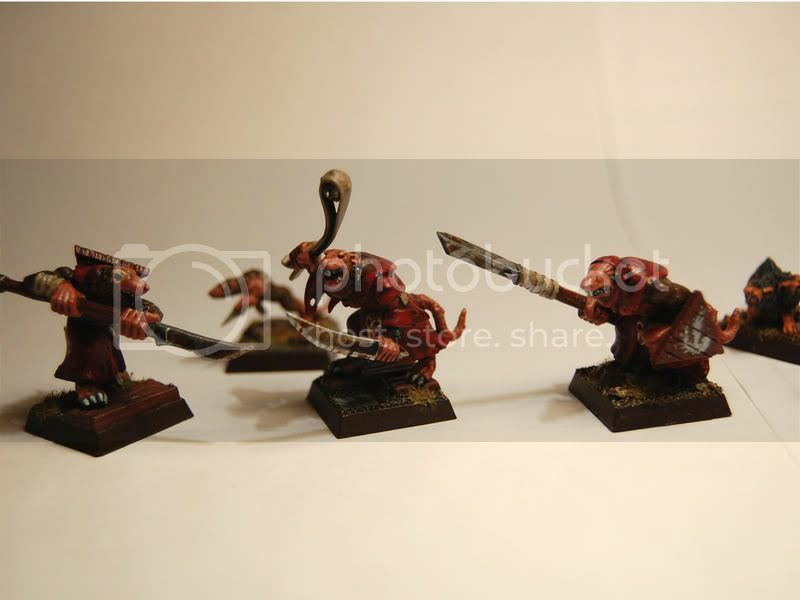 I found some time too take some pictures of my old skaven warband. (we all like pictures don't we) Enjoy! I build it with the regular skaven list, but I saw there was a clan pestelince list so I'm gonne take a look if i can use it also with this list. 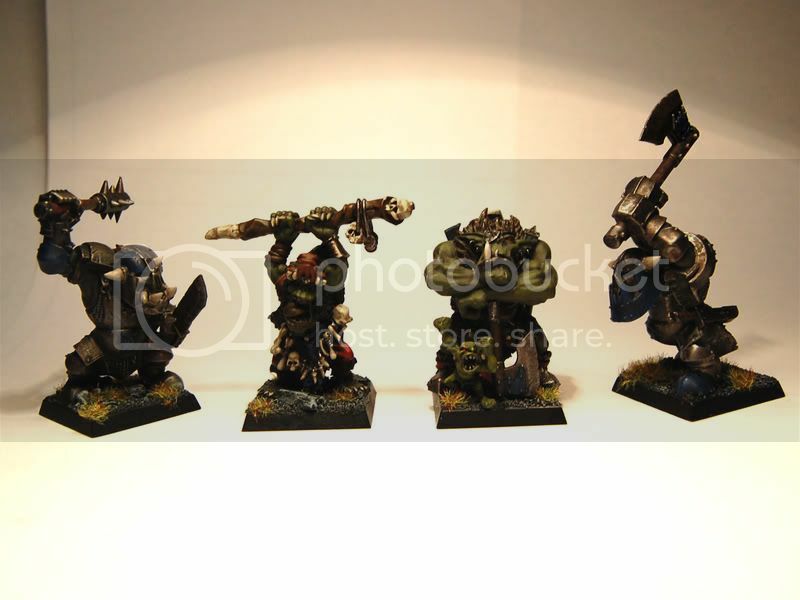 I like the conversions but now if I look at the warband I dont like the uniform look of the band, its too much a 'army'. Great minis. I see what you mea about the 'uniform', but it's not that bad (just say they recently raided a Sigmarite monastery ). You ARE one talented Dude! That is a FINE looking band of Rats; excellent paint jobs, basing, converting, & choice of colors make for a JAW DROPPINGLY cool & unique War Band. The Browns & Reds don't really make them ALL that uniform; it looks like they're garbed in whatever was lying about. If they were done up in destintively colorful attire it would be a different story. As always, WELL DONE! 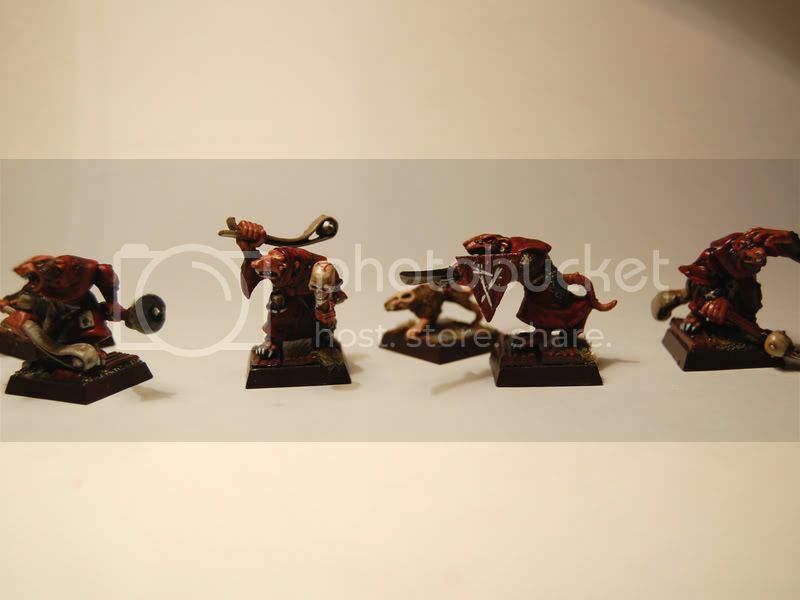 And now I want to show you my orcs. 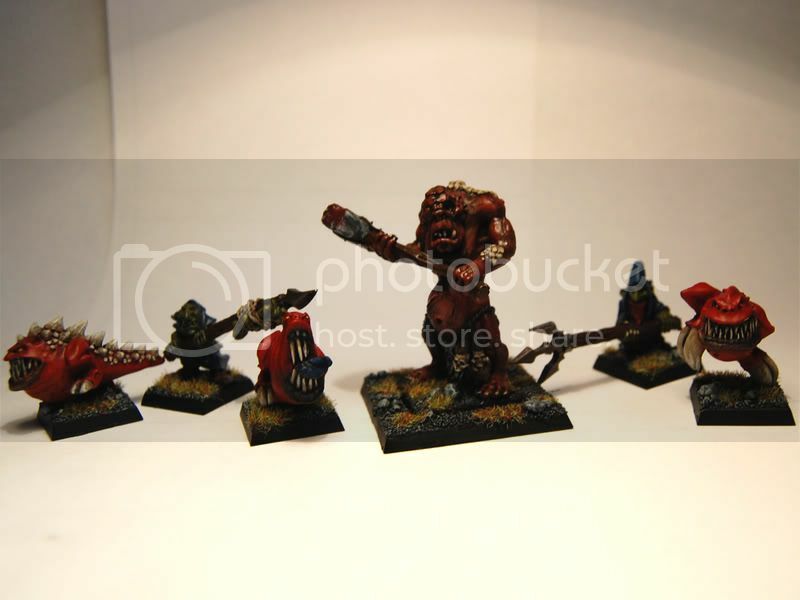 (sorry for the crappy pictures) I made these guys for warhammer quest, but I like to use them for Moedheim too! 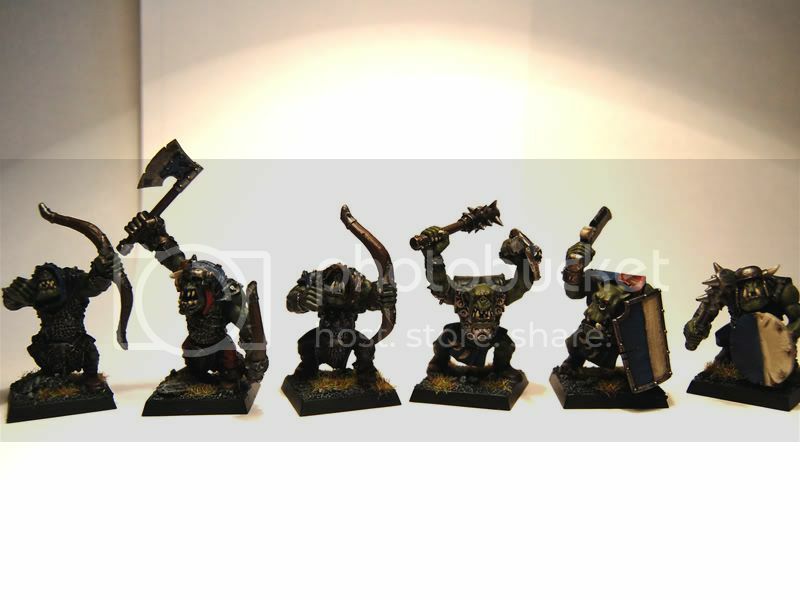 HOORAY Orc & Goblins! I KNEW you were a man with a taste for the FINER things in mini-life. 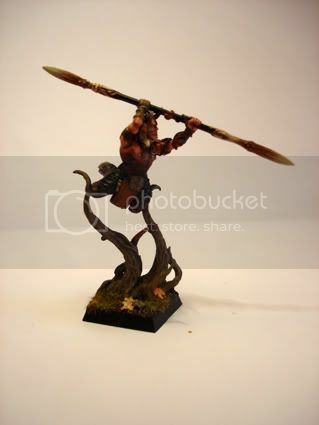 As always a beautifully painted up War Band; LOVE that Shaman. VERY WELL DONE! I looooove your shaman and big'uns !!! They seem sooooo wild ! Wow, there is far too much talent on the forums here. I need to absorb some. 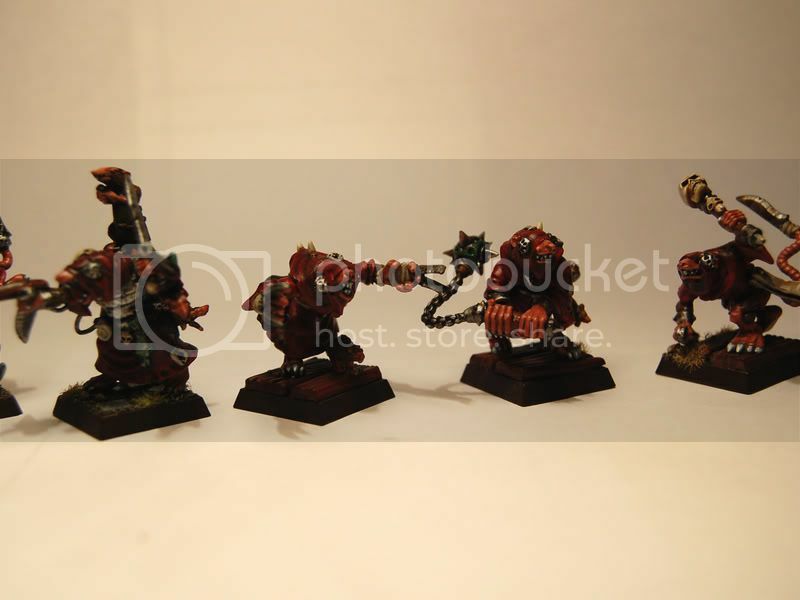 I love all the models, particularly those skaven. 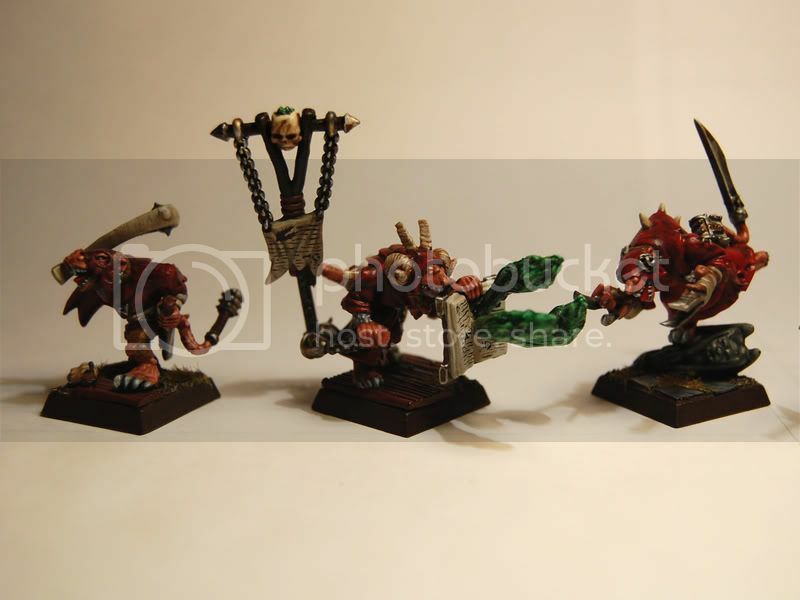 I think the uniform look distinguishes them from other skaven warbands, a plus in my eyes. 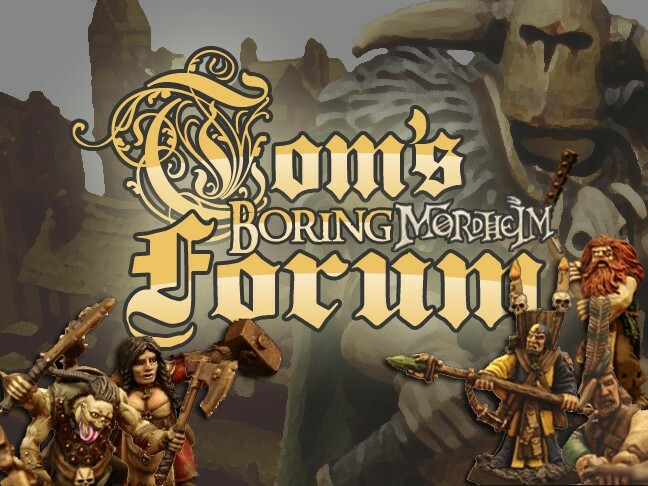 Perhaps a mod could change the title of this thread to reflect the amazing non-Kislev models it includes? O&G look really nice. 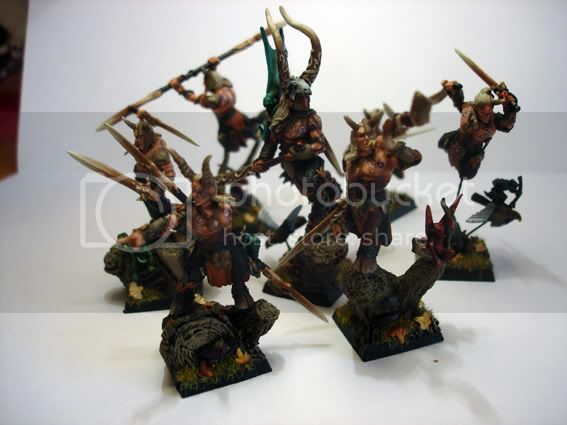 When I see a warband like this, I want to put my Averland away and start working on O&G warband It's really inspiring! Cool too hear you guys like the warbands! Thnx! I also have some woodelf models I want to use some time in a mordheim campaign (maby a more woodded setting BTB of Empire in Flames?). But i dont know witch rules I would use, maby beatsmen? Tom the A is going to LOVE these guys! These Point Eared Chaps are done to an INCREDIBLY high standard; a MAGNIFICENT looking War Band. The sense of motion you achieved adds tremendously to the fine paint job along with the EXTREMELY imaginative conversion work. I LOVE the Air Born Elf & bird, although I keep picturing him landing on the bird . 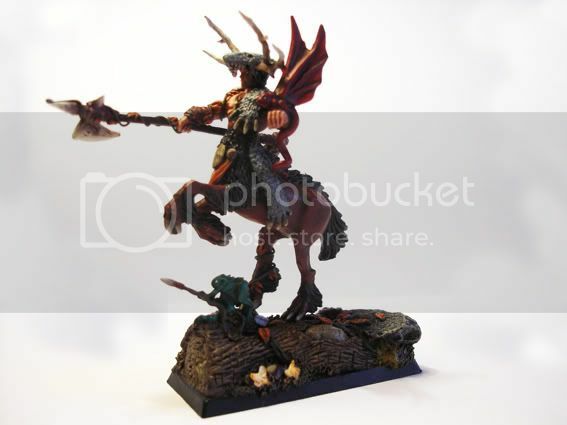 The Wildrider/Centaur is FANTASTIC, a truly great mini. They ARE all JUST wonderful pieces AND the bases ARE among the FINEST that I've ever seen [& after all my years in the craft, I've seen a LOT of cool bases ]. All in all, a fine War Band that REALLY captures the character of the subject. BRAVO! 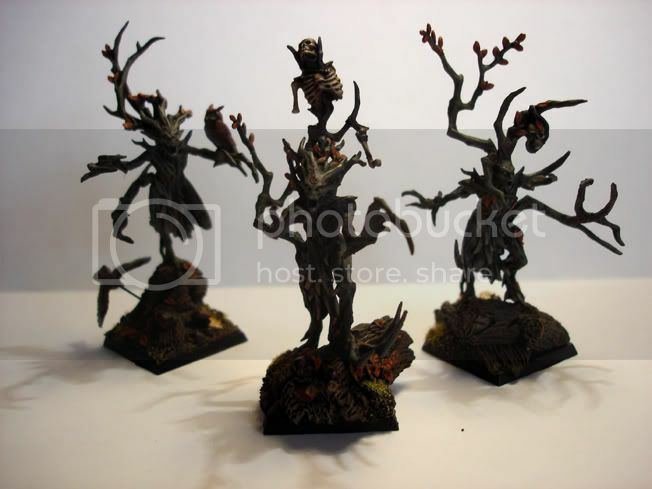 Awesome wood elves! 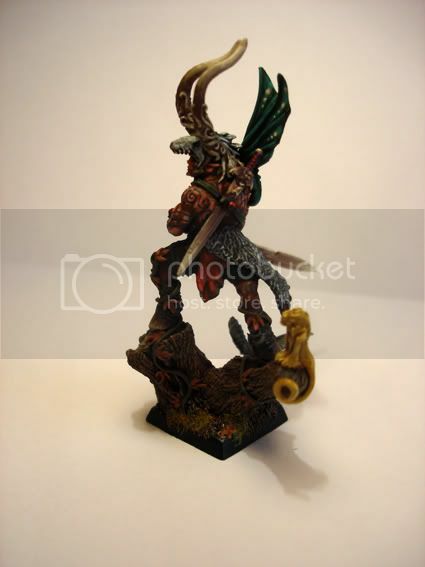 I used to have a few wood elves before they released all those cool models, really inspired idea to add hooves to them though! You've added a real sense of dynamism to them. Gosh, I don't like Elves but these are just beautiful! Awesome work, MagnoliaFan! Seriousy cool! 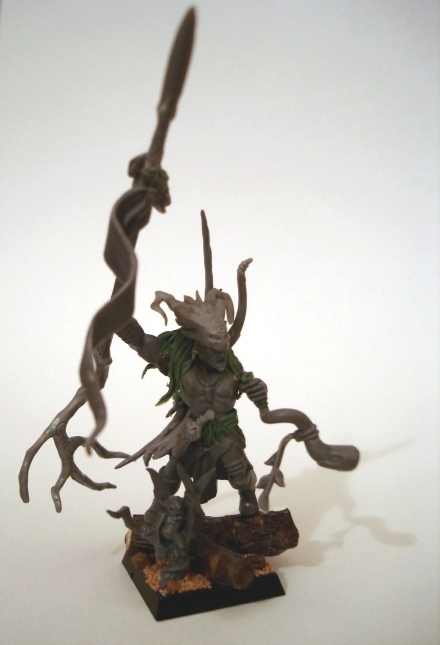 On the SG forum we began to make an Athel-Loren campaign setting, I've still got the (partialy playtested) rules for a dryad warband, interested? Loving the wooden weapons and tattoos. Excellent stuff! Awesome stuff you're making here! Didn't really see this log before, but I love your paintwork and conversions?! would you mind dropping by on the Amsterdam Meeting so I could battle them? I'm lost for words. This is just so amazing! Beautiful! 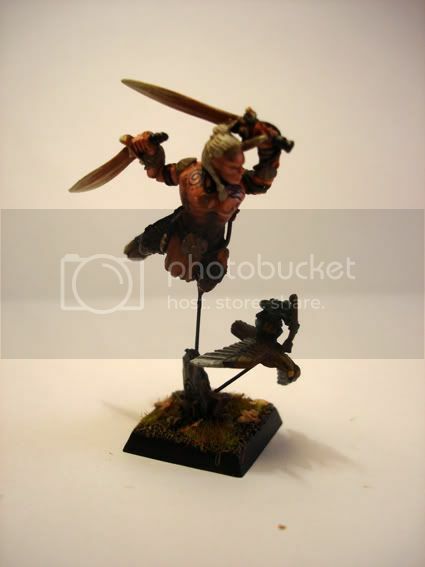 What did you use as horns for the last wardancer? And please come to Amsterdam so we can all enjoy these miniatures live! Everything is really well done, your Skaven are an inspiration, and those Woodies are exceedingly well-painted and -converted. YEAH!!! 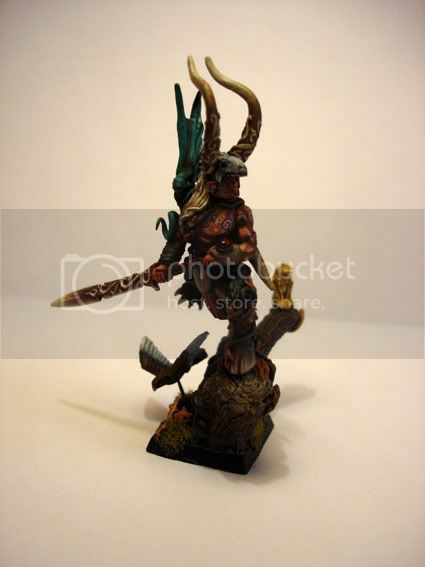 Wood Elves!!! Those are amazing Magnolia Fan! Thanks a lot for uploading. 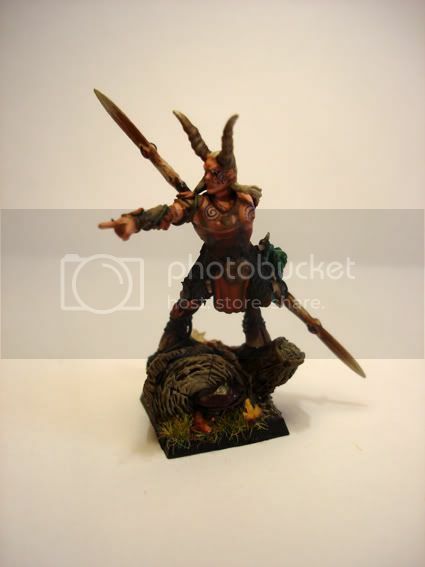 Funny coincidence: I have recently converted (90% done) an "Alter Kindred" (=shape shifter) for my WE army which has some similarity to your half-beast elves. I will post some pics when I finish the conversion. 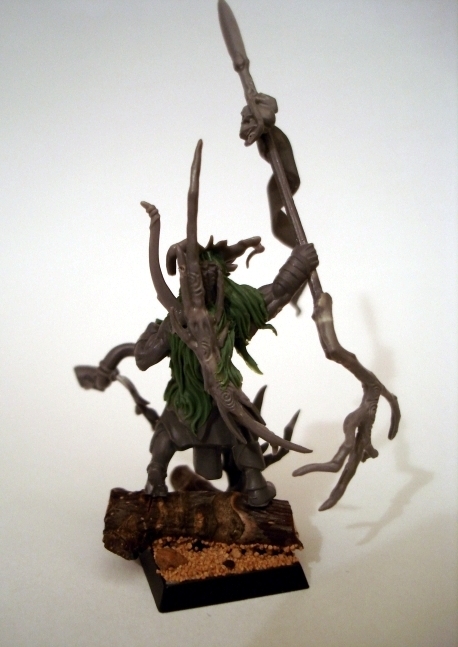 As promised (well, actually not literally but close enough) here's a pic of my WIP conversion for an "Alter Kindred". The feet will probably be turned into wolf-paws. I am still not entirely sure about the spear and the mask/helmet. I might change that... we will see.